Banneker Playground is named in honor of Benjamin Banneker (1731-1806), a noted African-American writer and mathematician. Born a free man in Maryland, Banneker worked much of his life on the family farm. By the age of twenty-two, Banneker had become known for occupying himself with mathematical puzzles, and he had already built an accurate clock entirely of carved wooden parts. When he was twenty-eight, Banneker took responsibility for the farm as a result of his father’s death, and he did not retire from farming until he was fifty-nine. Although he had always had an interest in mathematics and the mechanical workings of the natural environment, it wasn’t until the end of his farming career that he took up serious studies, using books he borrowed from others. Banneker’s accomplishments spanned many disciplines. Based on his understanding of physics, he predicted solar eclipses, including the eclipse of 1789. From 1791 to 1802 he published the Almanac, the first scientific journal produced by an African-American. Banneker helped survey Washington D.C. with George Ellicott and Pierre L’Enfant, the French architect who designed the original plan for the nation’s capitol. He also maintained a correspondence with Thomas Jefferson, using his own academic work to demonstrate that blacks were not intellectually inferior to whites. 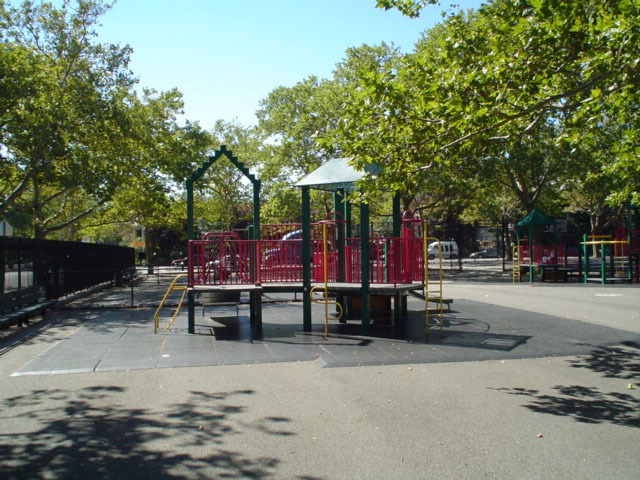 This playground is located on Marcy Avenue between Kosciusko Street and Lafayette Avenue. The site was formerly owned by the Board of Transportation, which held it as part of its property for the G subway line. After 1937, the city maintained a park on the site under a permit from the Board of Transportation. The park was originally built by the WPA (Works Progress Admistration), a federal program that built 850 airports, 120,000 bridges, and 125,000 public buildings, in addition to its 8,000 parks nationwide. In 1957, the nearby public school, known as P.S. 256, or the Benjamin Banneker School, was built to replace two older schools in the area and to relieve crowding in others. That same year, the property was transferred to Parks and designated P.S. 256 Playground. In 1985, Parks named the playground in honor of Banneker. In 1997, Banneker Playground underwent a $470,982 renovation funded by Mayor Giuliani. New play equipment and safety surfacing, handball courts, fences, guide rails, sidewalks, and paths were added. 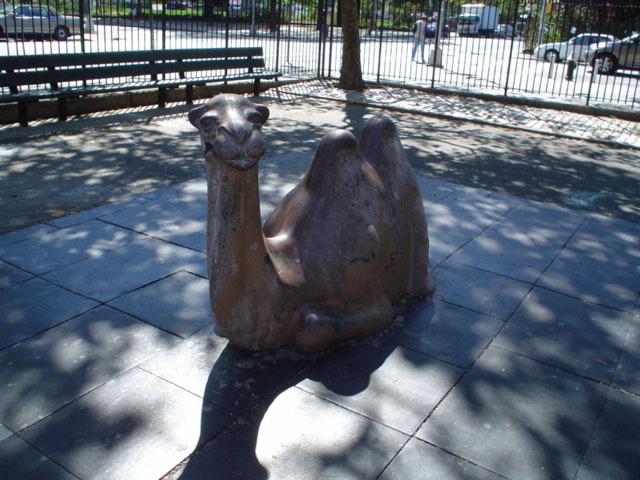 The park now includes a sculpture of a camel, a comfort station, a flagpole with a yardarm, basketball courts, benches, London planetrees, and a decorative gate. The playground offers recreational opportunities to the school’s students and honors an African-American intellectual.